The PASS Blood Bank Exam Review is designed for individuals preparing to take the ASCP Board of Certification Examination in the SBB or BB category, and for physicians who are preparing for the American Board of Pathology Examination in Blood Banking/Transfusion Medicine. This program will provide basic knowledge to help with the study and preparation for the SBB/BB exam. Handouts with references, case studies, and practice questions are included with on-site and virtual registrations. Individuals may purchase just the handouts for self-study purposes. 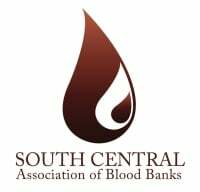 This program is a partnership between the South Central Association of Blood Banks and BloodCenter of Wisconsin, and is eligible for 14 PACE and Florida CE Broker credits (13 for virtual attendees). The 2019 session is being hosted by the Carter Blood Care, Bedford, TX. I attended the virtual PASS Blood Bank Exam Review (Last Chance Review) in 2017, three months before I was going to take my Board Exam. I had wanted to attend in person, but it was in Texas and I was unable to get away from work for that long. I was ecstatic when I knew they had a virtual platform, making it available to me from my home! The speakers they had lined up were phenomenal, making the two days seem to fly by. I had been a little hesitant at first, wondering how I could sit in front of a computer for hours on end. They break it up nicely, and the handouts themselves are worth their weight in gold. I took notes, and used the handouts with my written notes while studying for my boards. I encourage anyone that is able to attend the review in person to do so, as I had noticed they had a nice math review section (not included online) as well as a dinner to mingle with other future SBB’s! I can’t speak any more highly of this program. It was one of the most valuable supplements that I had going into my board exam, and I truly think it made a difference in me being able to pass that board exam on my first try! Thank you, PASS program! Attend in person for the most immersive experience. A dedicated time to concentrate on your studies. Ask questions of instructors and network with fellow attendees. BONUS: Lab Math Boot Camp Session and Networking Dinner for on-site attendees only! Can't travel to Texas? No problem! Dial into the class by LIVE webinar. Get the handouts and study on your own. Work at your own pace with all the materials from the course. Get a head start on your onsite attendance by ordering last years handouts to prep. The Marriott Courtyard has a free Shuttle for destinations within 3 miles of the hotel. This would be available to take attendees to Carter BloodCare.